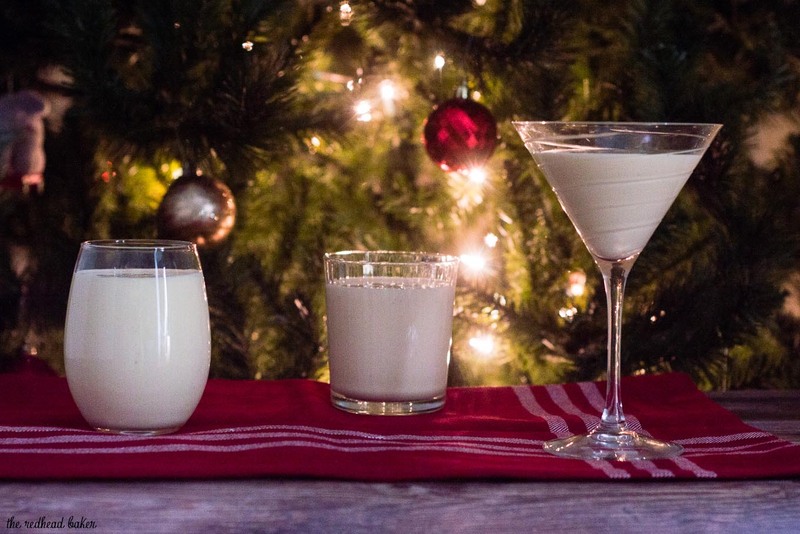 What says Christmas more than homemade eggnog? This traditional recipe uses eggs, cream, sugar and nutmeg, with the optional addition of brandy or other liquor. Welcome to the SundaySupper Eggnog Recipes event, hosted by Christie from A Kitchen Hoor’s Adventure. 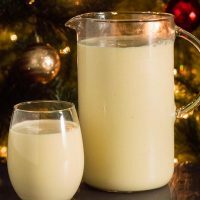 December is National Eggnog Month and the SundaySupper bloggers have put together their favorite recipes both for eggnog and using eggnog. I went classic with my recipe, and made traditional homemade eggnog. Obviously, it takes more time than going to the store and buying a quart, but it’s worth it — it’s so much better than anything you can get at the store. Before we get started, I need to put in a disclaimer: the eggs in this recipe are not cooked. If this bothers you, you can use pasteurized eggs. Alternatively, you can heat the eggs just to the point where bacteria are killed. There are instructions for this at the bottom of the recipe. 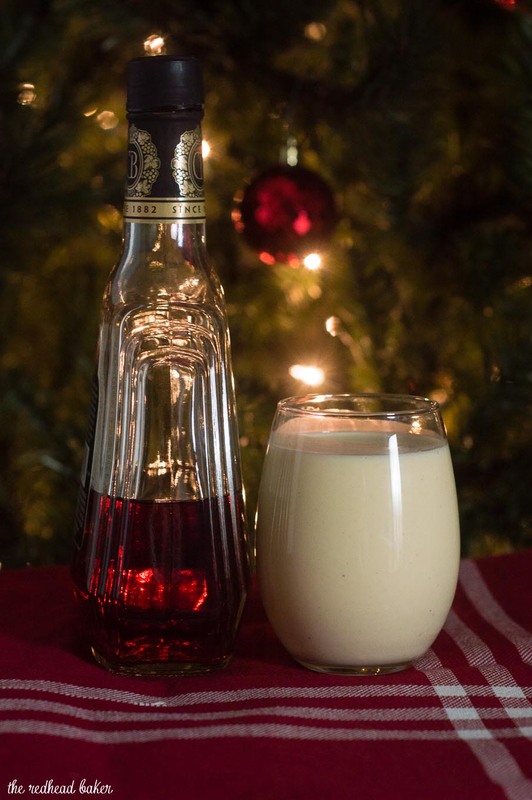 That being said, if you opt to include the brandy in your eggnog, it acts as a preservative and bacteria-killer. If you add the full cup of brandy to your eggnog and your refrigerator is calibrated to the FDA-recommended temperature of 40 degrees Fahrenheit or less, hardly any bacteria will be able to survive. Eggnog has been part of Christmas my whole life. As a child, I always left Santa cookies and eggnog (plus a carrot for Rudolph!) instead of cookies and milk. My dad and I would also sip on eggnog as we watched the classic Christmas specials together. 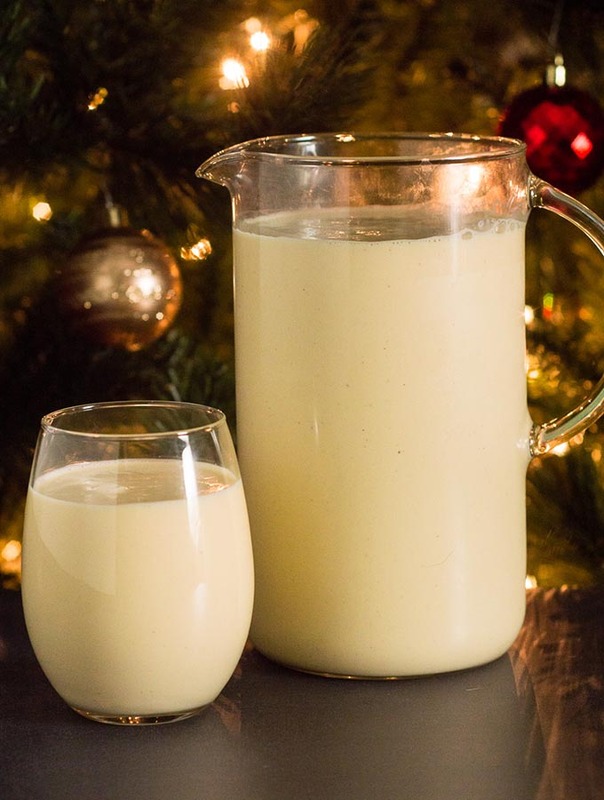 Eggnog is a very “love it or hate it” Christmas tradition. 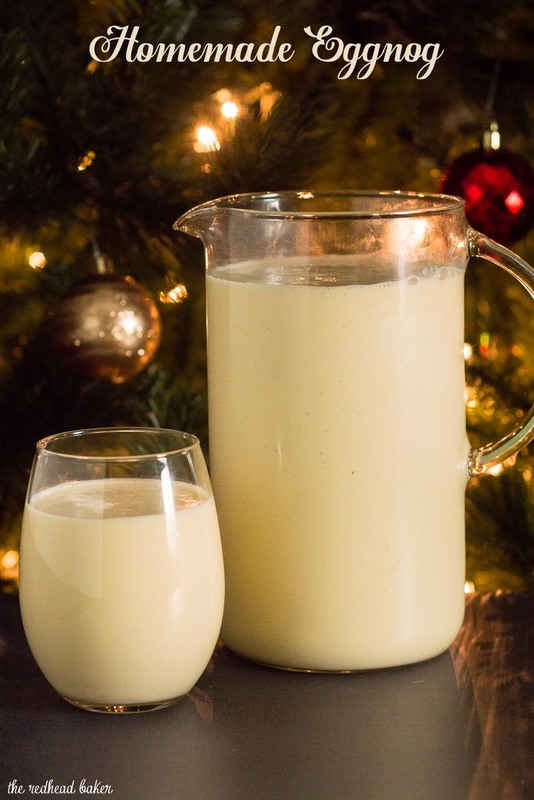 If you tihnk you hate it but you’ve only ever had store-bought, please give this homemade eggnog a try! Separate the eggs: place the yolks in the bowl of a stand mixer, and place the whites in an airtight container and refrigerate until ready to use. Add the sugar to the mixing bowl with the yolks. Beat with a mixer on low at first to combine, then at medium speed until the mixture is smooth and creamy, and it has lightened to pale yellow. Pour the milk, cream, and brandy (if using) into the bowl with the yolk/sugar mixture and whisk until combined. Pour the mixture into an airtight container and refrigerate for at least an hour. The more brandy you add, the longer the mixture will keep. When ready to serve, beat the reserved egg whites to stiff peaks. Retrieve the yolk mixture from the refrigerator and fold the beaten egg whites into the yolk mixture. Transfer the eggnog to a pitcher or punch bowl. Serve in tumblers with freshly grated nutmeg on top. Pour the milk and cream into a medium saucepan and cook over medium heat just until bubbles form at the edges of the pan. While continuously whisking the yolks, very slowly stream the warm milk into the yolks. Pour the egg/milk mixture back into the saucepan, and continue cooking over medium heat until the mixture thickens. Cool to room temperature, then whisk in the brandy. Pour the mixture into an airtight container and refrigerate for at least an hour. 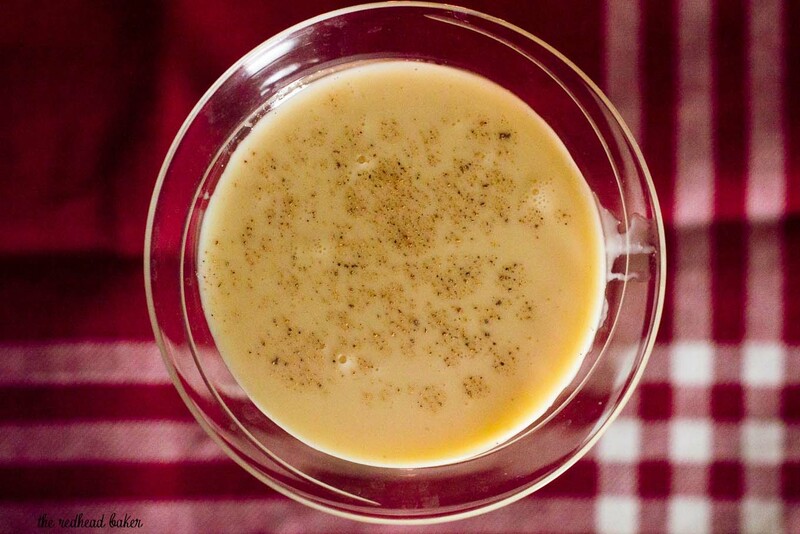 Discover more #SundaySupper Eggnog Recipes!